Centre for Positive Displacement Compressor Technology enjoys successful partnership with Howden Compressors Limited. City University London continues to lend pioneering engineering research and expertise to the development of new industrial products and solutions. Indeed, the partnership between City's Centre for Positive Displacement Compressor Technology and Howden Compressors Ltd (HCL), has blossomed and borne fruit over the last four years. Key to this success has been the work of Professor Ahmed Kovacevic, who has created a research and development (R&D) group at HCL. Positive displacement screw compressors are commonly used in industrial applications for refrigeration, food freezing and the compression of a variety of industrial gases in different industries. These include the transportation of natural gas for domestic heating, transport and processing gases and many other applications. 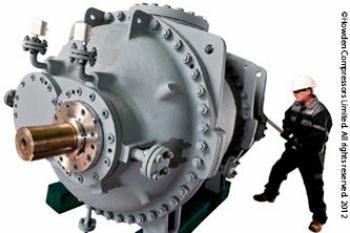 The application areas for such compressors are extending constantly. Today, they are also used in extremely demanding applications such as compressing helium or hydrogen in cryogenic refrigeration loops for the Large Hadron Collider (LHC), or in space stations. Industrial compressors use almost 20 per cent of electrical energy generated worldwide. In the summer months, air-conditioning and refrigeration compressors in the United States accounts for almost a quarter of that country's energy consumption. The issue of improved efficiency is paramount in the creation of new designs. The Centre for Positive Displacement Compressor Technology, an innovative engineering technology hub, established within the School of Engineering and Mathematical Sciences, was set up 17 years ago to assist in the manufacture of compressors - in particular screw compressors - and importantly, to cut down on the amount of energy consumed by compressors. The Centre was initially funded by the Royal Academy of Engineering, and manufacturer of machine tools, Holroyd. Over the years, it has developed extensive collaboration with large and small screw compressor manufacturers all over the world which has established the Centre as a world leader in this field. Professor Kovacevic joined the group in 1998 as a research fellow and his work since then has enhanced the scope of the Centre's ability to provide a full service to industry from idea development to the design and validation of screw compressors. The Centre's research group has generated new design principles that are based on pioneering research to enhance the performance of compressors and expanders. The software, algorithms and design methodology developed over almost two decades, is applied in the reduction of environmental pollution and noise emission, within the oil and gas industry, for refrigeration and heat recovery, in the automotive industry, and other myriad uses. The in-house rotor profiles patented by City's Compressor Centre have now become the international standard and are now used by many compressor manufacturers around the world. In 2008, a strategic collaboration was established with Glasgow-based Howden Compressors Ltd (HCL), the major UK manufacturer of screw compressors. Howden pioneered screw compressor technology in the late 1930's and over the years has played a leading role in supplying compression solutions worldwide. With the advent of methods and tools established at the Compressor Centre, a Research & Development partnership was set up at the company under Professor Kovacevic's leadership. This led to the formation of a 15-member strong research and development (R&D) team in a company that employs 140 employees. In 2009, the team rolled out four initial projects worth just under £2.5m, more than 10% of the company's turnover at the time. Commercialising some of these projects enabled the company to double its turnover in 2010-11, increase employment by 30 per cent and initiate further projects. Significantly, too, Professor Kovacevic put into Operation City's "N" rotor profile at Howden's largest compressor to increase its capacity and efficiency. This allowed the company to secure a major coal-bed methane (CBM) contract in Australia with its WRV510A compressor - the single largest contract in its history. Furthermore, a new compressor with patented technology have now been developed and commercialised, while new software based on City's research is among the benefits that Howden currently derives. In May 2012, HCL received an award from Scottish Engineering for this outstanding achievement. This award acknowledges Howden Compressors' significant growth over the past two years, during which it doubled its annual turnover and increased its workforce to the highest headcount for more than 40 years. Professor Kovacevic continues to advise HCL and supervise HCL employees pursuing doctoral engineering degrees at City University and in other research domains. 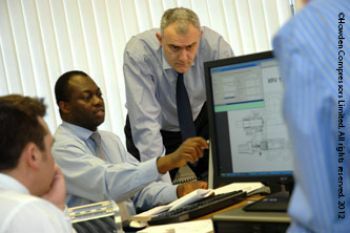 The CEO of Howden's Compressor division has being made a Visiting Professor at City University, which further reinforces the collaboration between this leading engineering education institution and HCL, providing ample evidence that City's on-going alliance with the screw compressor manufacturing industry is mutually rewarding, successful and indeed exemplary.